The history of the EAS began in 1990 with the European Forum “Perspectives of Music Education in a new Europe”. This forum was held at the 18th Conference (“Bundesschulmusikwoche”) of the German Association of School Musicians (“Verband Deutscher Schulmusiker, VdS”) in Lübeck, Germany. The overall theme of the conference was “Within borders – Beyond Borders” (“In Grenzen – über Grenzen hinaus”). One main impulse for this conference as well as for the creation of EAS was the changed situation in Europe after the “turn”, i.e. after the end of the East – West divide inEurope. The chair of the EAS Forum 1990 was Dieter Zimmerschied, who also became the first EAS president. Keynotes were presented by Karl Heinrich Ehrenforth (DE), Lech Kolago (PL) and Jonathan Stephens (UK). The “Resolution of the European Association for Music in Schools (EAS)”, approved in Lübeck, can be seen as the decisive document of the foundation of the EAS. This resolution, later taken as the “EAS Charta”, built the basis of the EAS policy for almost 20 years. In 2009 it was replaced by the current “Mission Statement” of the EAS . In the first years the EAS existed as an informal forum active mostly at conferences in different countries of Europe. The EAS gained formal status on 31st October, 1996 by the registering as a “society without pecuniary reward” (not for profit) in an official Belgian document (“Le moniteur”) under the number 023969 and with the name „EAS, ASSOCIATION EUROPEENNE POUR LA MUSIQUE A L’ECOLE – EUROPEAN ASSOCIATION FOR MUSIC IN SCHOOLS – EUROPÄISCHE ARBEITSGEMEINSCHAFT SCHULMUSIK“; the acronym “EAS” refers to the German name of the association. Since that point of time, 1996, the EAS has had a formal statute, consisting of registered members, an annual general meeting with a president and an elected board. Important impulses for the increasing impact of the EAS to the outside professional context came from regularly published newsletters, firstly as a flyer of four pages, then as 84 page printed booklets in the three languages of the EAS: German, English and French. In 1998 the first EAS website went online, and in 2005 it was relauncehed with a new, professional design and structure which has since developed strongly and dynamically. The website is the crucial EAS medium for continued information and communication. During the first years of the EAS development the EAS board collaborated with a rather informal network of “contact persons” in different European countries. From 2005 a stronger, more formalised mandatory system of “EAS National Coordinators” was established – a system that has become more and more important concerning the activities and the effectiveness of the EAS. At the centre of the EAS development were and are the annual EAS conferences, suspended only in 1999 and 2002; in those two years the conferences, planned in Turkey and the Netherlands, had to be cancelled due to unfortunate circumstances in the respective countries. Usually the EAS conferences have 70 – 150 participants; exceptionally, the conferences in Luzern (1997) and in Vienna (2003) each involved about 450 participants. After the first EAS Students’ Forum with participants from the German speaking countries in 2001 in Toblach (South Tyrol, IT), the EAS has organised, since 2003, an annual EAS Students’ Forum in close connection to the respective EAS conferences. These Forums normally include about 30 participants from about 12-15 countries. In 2011, in Gdansk, a Doctoral Students’ Forum has been organised for the first time. 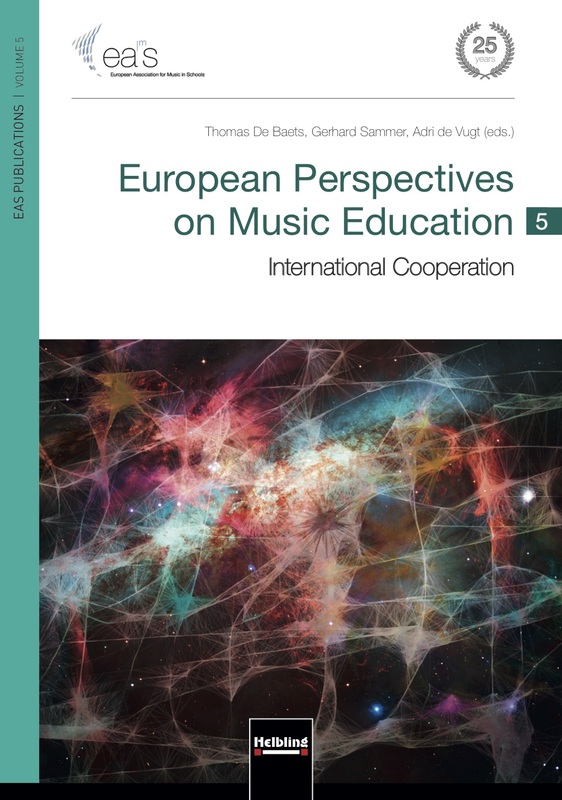 Starting in 2004, the EAS has developed significantly as an important network for music educators, in terms of both content work and communicative activity, with the help of the EU Network “meNet” (“Music Education Network. The European Network for Communication and Knowledge Management of Music Education”; programme SOKRATES/COMENIUS, formal project duration 2006-2009). The EAS has taken the responsibility for the distribution and continued development of the meNet outcomes. In 2015, the association has celebrated its 25th anniversary in Rostock, Germany.